Mysterious events have shocked the world of wizardry! A young student wizard named Annie has disappeared from the Higher Academy of Arwindale. Her little sister Irene decided to enroll at the Magic Academy and promised herself to find her sister no matter what. At first glance, it appeared that the friendly masters of the academy had something to hide. But eventually she realized that only real magicians could uncover the secrets held by this higher school of magic. 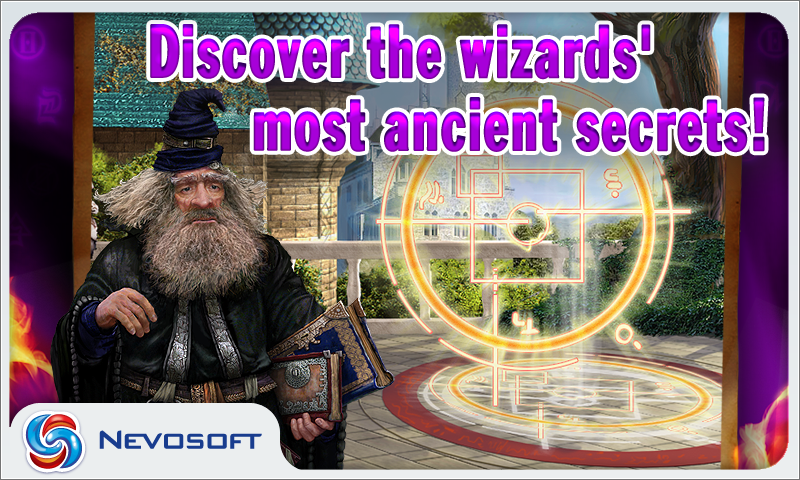 Nevosoft is proud to introduce Magic Academy for Android. Magic Academy is a fantastic game with an entertaining mix of puzzles! A magical detective story, magic artifacts and wizardry are woven together to produce an enjoyable mix of engaging challenges and a well-integrated story! The strange story takes place at Higher Academy of Arwindale, where a young student wizard named Annie has disappeared from the ancient walls of the academy! Her little sister Irene, applied to attend to Magic Academy so she could find Annie. But eventually she realized that only real magicians could uncover the secrets of this higher school of magic. There are 21 stages of play, each with multiple levels of item-based puzzles to solve. In keeping true to this genre, the mysteries consist of finding objects of a particular category, locating various bits and pieces from a list, detecting objects based on their silhouettes, and locating items that differ between two "almost identical" side-by-side scenes. Hidden-object levels are punctuated by several mini-games, which including jigsaw puzzles, rotation puzzles where pieces remain in their original position, but are rotated into correct alignment and flipping tiles over and matching pairs to remove them from the board. Fans of the genre can enjoy it and find great delight in discovering all the academy’s secrets. Pass all the tasks of your magic teachers and find out what happened to your sister! 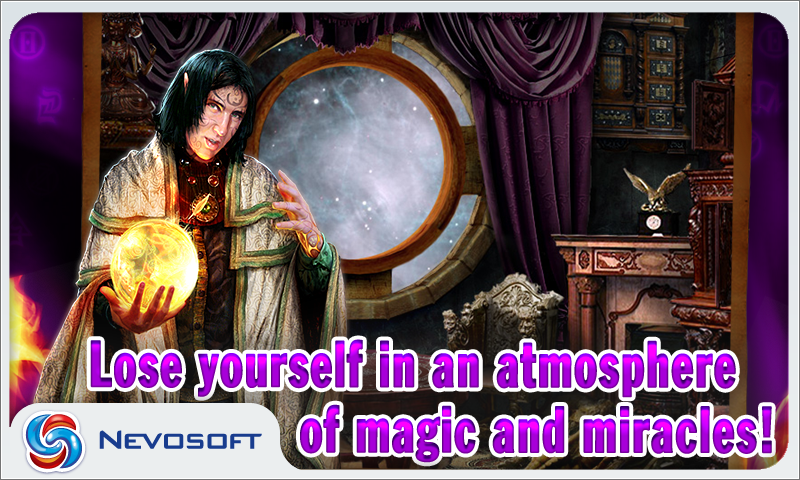 Nevosoft is proud to introduce Magic Academy for Android. Magic Academy is a fantastic game with an entertaining mix of puzzles! A magical detective story, magic artifacts and wizardry are woven together to produce an enjoyable mix of engaging challenges and a well-integrated story! The strange story takes place at Higher Academy of Arwindale, where a young student wizard named Annie has disappeared from the ancient walls of the academy! Her little sister Irene, applied to attend to Magic Academy so she could find Annie. But eventually she realized that only real magicians could uncover the secrets of this higher school of magic. There are 21 stages of play, each with multiple levels of item-based puzzles to solve. Hidden-object levels are punctuated by several mini-games, which including jigsaw puzzles and rotation puzzles. 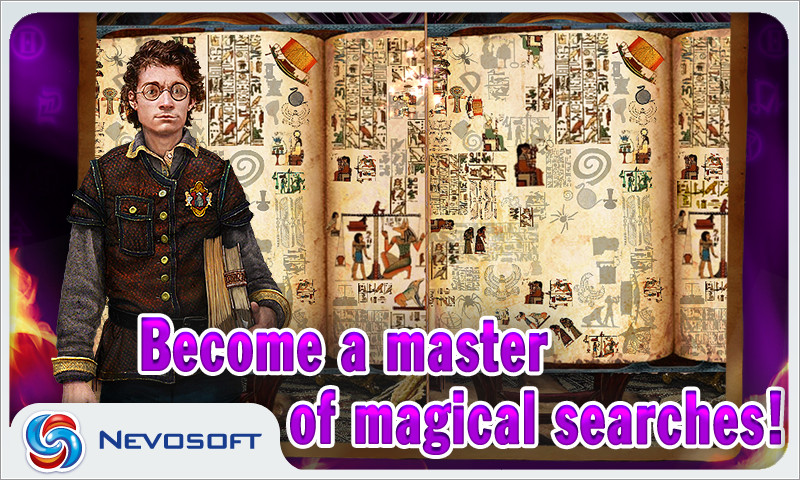 Pass all the tasks of your magic teachers and find out what happened to your sister! 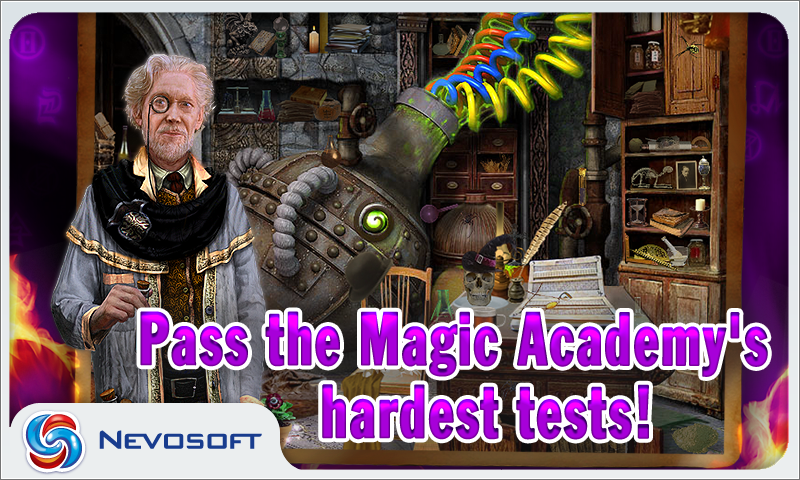 Nevosoft is proud to introduce Magic Academy for Android. Magic Academy is a fantastic game with an entertaining mix of puzzles! The strange story takes place at Higher Academy of Arwindale, where a young student wizard named Annie has disappeared from the ancient walls of the academy! Her little sister Irene, applied to attend to Magic Academy so she could find Annie. 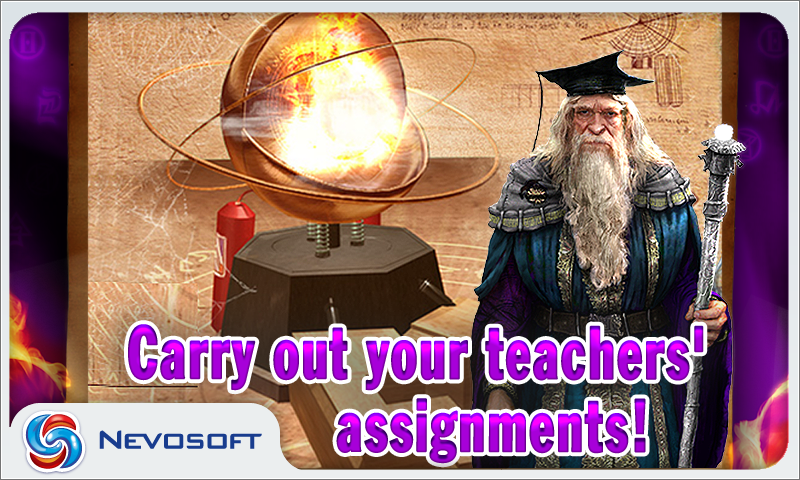 Pass all the tasks of your magic teachers and find out what happened to your sister!